A quick summary: Paddy’s Pub is Philadelphia’s dirtiest and worst bar run by Philadeplhia’s five dirtiest and worst people. Frank, Dennis and Dee Reyolds, along with Charlie Kelly and Mac, navigate the pitfalls of life while learning nothing along the way about selflessness or virtue. It’s basically the opposite of Friends. The beer: Mother’s Winter Grind As a stout, Winter Grind certainly lives up to its name. It’s a dark, rich and heavy beer that certainly isn’t for the casual beer drinker. It’s almost like drinking a cold cup of espresso with alcohol. There are a few very good chocolate notes as well. The pairing: In terms of who might enjoy this week’s pairing, neither beer nor show are for the faint of heart. 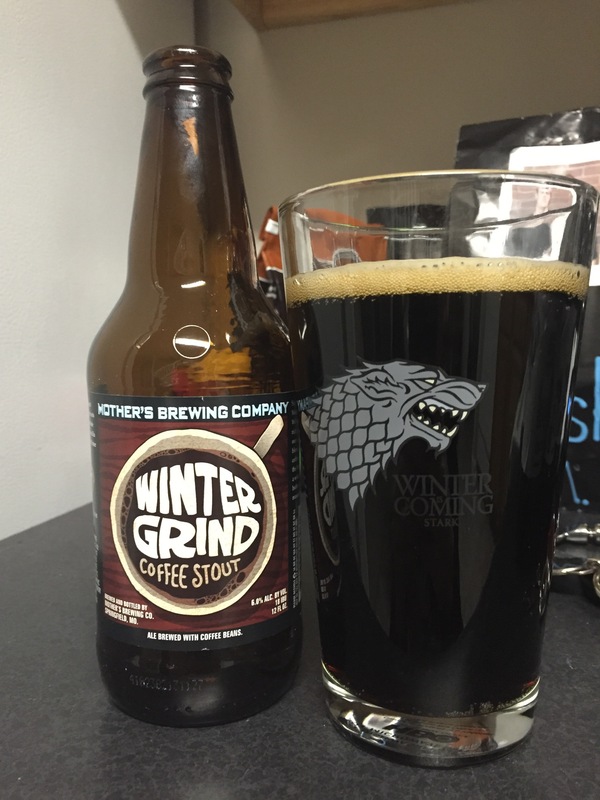 Winter Grind works great as a winter beer because of the dark coffee and chocolate flavors, and It’s Always Sunny works great as a niche comedy because of…well, it’s dark and sometimes offensive humor. Most of the humor is pointed back in the direction of the five leads, which is makes it easier to handle because they’re all such despicable people that you don’t care what happens to them. But there’s a cathartic feeling I get when watching It’s Always Sunny: it’s almost as if the worst parts of my personality melt away as I watch these five friends continually embarrass themselves by their own hands. Karma plays an untold role in the show, for sure. It’s not a direct connection, but Winter Grind also gives me a cathartic feeling. It’s the perfect beer for sitting back and relaxing. Just like the show, you can’t take a whole lot of it in a short amount of time, but the time you do spend with it is both well-spent. New beer drinkers would be advised starting with something a little lighter for their winter stocks, but it doesn’t get much better than Winter Grind for good coffee stouts. And there aren’t many funnier shows on TV right now (if any) than It’s Always Sunny In Philadelphia.